The School currently boasts of two well stocked libraries, one serving the nursery and the lower primary and the other the upper primary, junior high and senior high departments. Students are allowed to borrow books at any time and given a stipulated date by which the book should be returned. The School has secured an electronic software through which the library system operates. 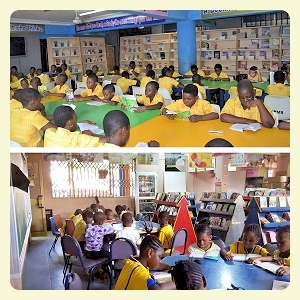 The entire staff of the school also has access to both libraries, allowing them to carry out research or make use of books in their various subject areas.